I recently read, with great delight, Ray Bradbury’s autobiographical celebration of summer 1928: DANDELION WINE. It’s written with such tender fervor and such affection for his younger self that you can’t help feeling a similar affection for the author. I’m sure you can educate yourself quite well on the internet today but the key phrase may be “I had read every book”. With all that literature churning around in your head, blundering into writing through experiment may be a good, if lengthy, way to learn to write. That and living energetically. 1) Wash flowers, remove petals. 2) Place in water with OJ & lime juices, ginger, zests & sugar. 3) Boil for 1 hour. 4) Strain through coffee filter. 5) When cooled & still warm add yeast. 6) Cover with cheesecloth & let sit over night. 7) Bottle. Make holes in balloons and place over bottle tops to seal & allow gas to escape. This keeps out unwanted yeasts. 8) Store in cool, dark place for 3 weeks to ferment. 9) Cork and store in a cool dark place for 6 mos - 1 year. By the way, you can also make a fabulous salad from the green leaves: pissenlit au lard. So, make the wine now, read the book on Kindle then in a year when the wine is ready, get a paper version of the book so you can properly celebrate it with touch and smell and highlighters. 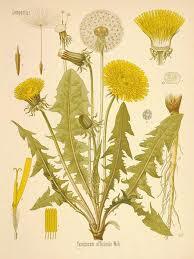 Sit on the fragrant grass sipping your wine and nibbling your dandelion leaves while you sensually turn the pages.